I have lately enjoyed stacking things in my art quilts. What comes to my mind are the folk art farm animals standing on top of one another, which are often used as inspiration by artists. I think that "Town Musicians of Bremen" by Brothers Grimm may have been the start of this stacking of animals. Try to Google it and see what you find. 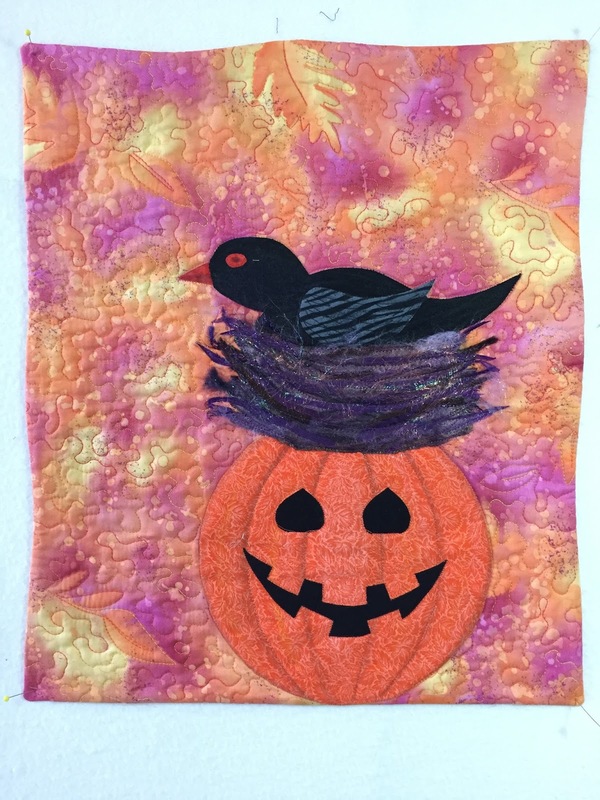 For Halloween, I decided to make one of my mixed media series on nest quilts with a bird on top of a nest, which is on top of a jack-o-lantern. This is my loose translation of the inspiration. 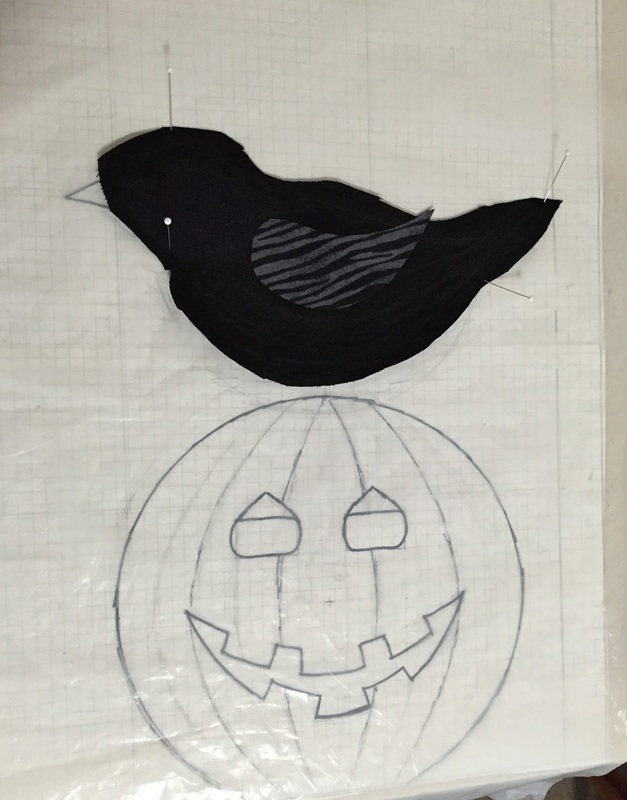 The bird was assembled on top of my pattern and shaded with colored pencil. 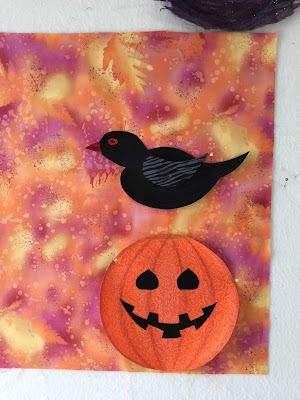 The pumpkin was also shaded and highlighted with colored pencil, then sprayed with Krylon workable fixative, which keeps the pencil from rubbing off. Both of these pieces were fused and sewn to the background. Quilting followed with several weights and colors of thread. The nest was made with yarn, stretch lace, dyed goat hair, Angelina fibers, ribbon, lace, seam binding, hand dyed fabric and string. This combination of mixed media fibers were sandwiched between tulle, stitched and trimmed. I hope you like the finished product!